David Moyes has been confirmed as the new boss of Sunderland on a four-year deal. The Scot replaces Sam Allardyce after he was installed as England manager on Friday. The former Manchester United boss has been out of work since being sacked by Real Sociedad last November and Sunderland quickly identified him as Allardyce’s successor when it became known they were losing their manager to the Three Lions. Chairman Ellis Short said Moyes was the club’s ‘number one managerial target for the last five appointments’. 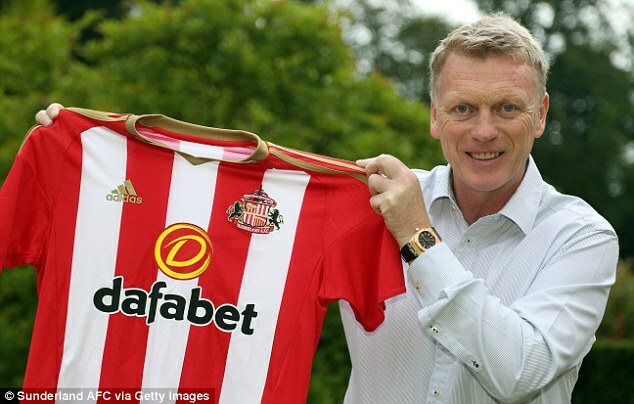 Short, speaking after Moyes’ appointment, said: ‘We are absolutely delighted to welcome David Moyes to Sunderland, who was by far and away our first choice.